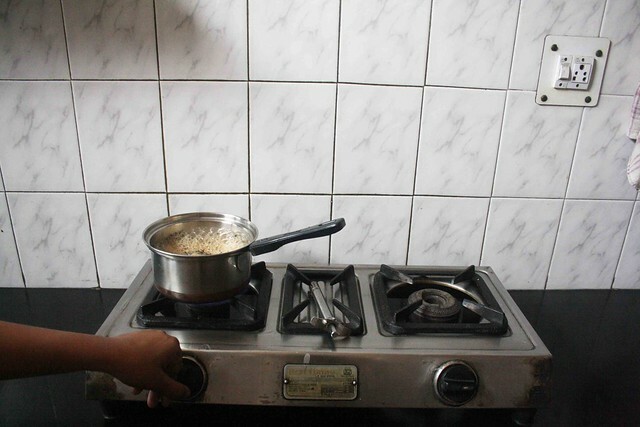 One morning The Delhi Walla was at a flat in Vasundhra Valley Apartments, a grey-colored housing complex in Sahibabad, a township beyond Delhi’s eastern limits. 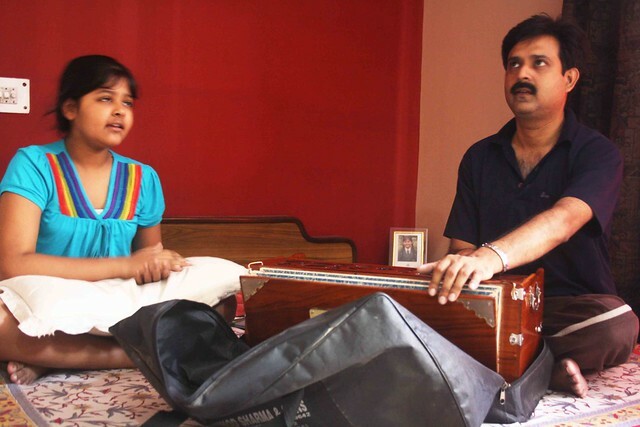 Sitting cross-legged on a bed, a girl was singing a song from the 1971 Hindi film Guddi. 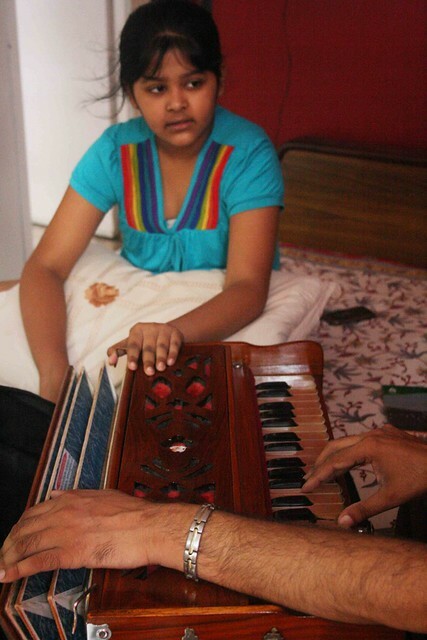 The girl’s father was accompanying her on the harmonium. The mother was in the kitchen, just starting to make tea. The sun’s rays, filtering in through the curtained window, filled the room with a pale gold glow. The song ended as the mother poured milk into the tea pan. 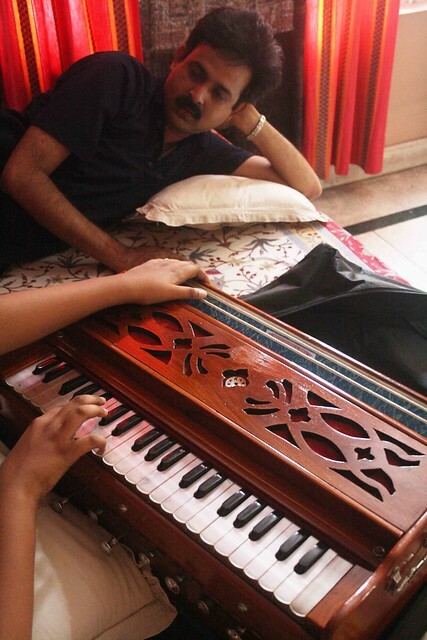 Passing the harmonium to his daughter, the father stretched out on the bed. 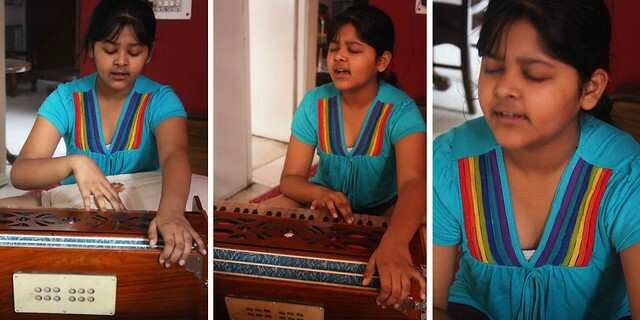 The girl began rehearsing the basic notes of the Indian classical music on which all ragas are based. 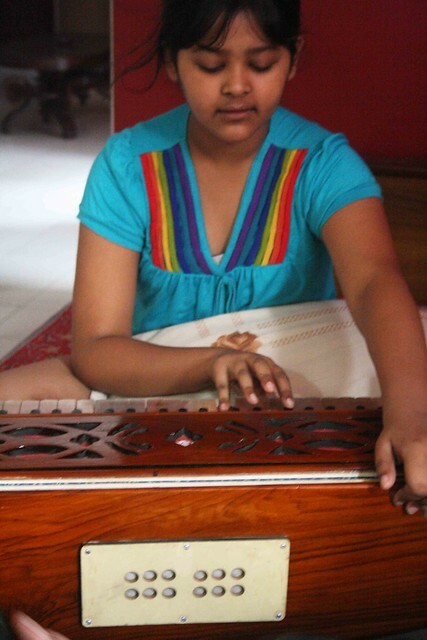 The keys of the harmonium were a little resistant to her soft fingers; her voice was fragile. His right arm slicing the air like the baton of an orchestra conductor, the father said, “Now you have to work on making the right stress on each note.” The girl nodded, her eyes closed in concentration. 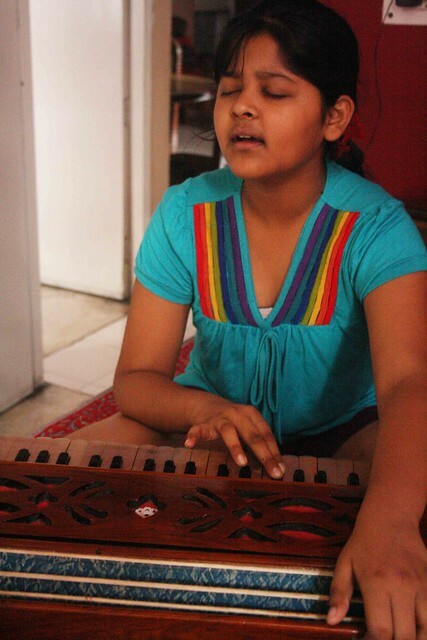 In the kitchen, the mother said, “Our daughter’s music teacher says that her voice is full of feelings.” Just then the tea came to a boil, the mother turned off the burner. It was a beautiful moment. How come tea coming to a boil is a beautiful moment for you :P. The child is very cute..